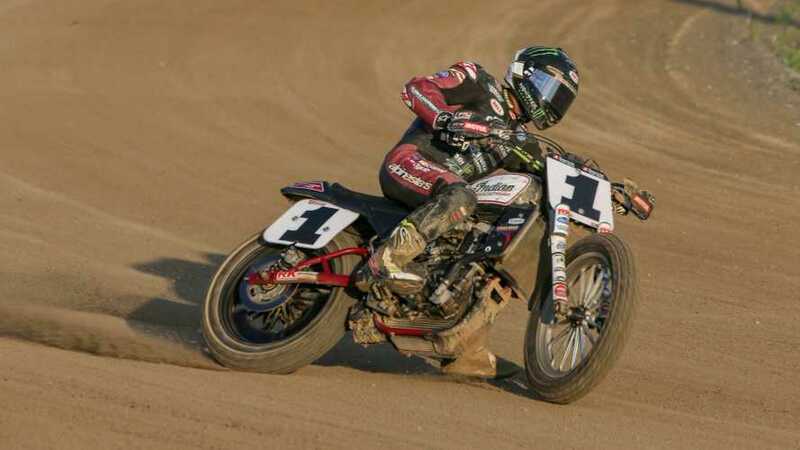 Indian Motorcycle is once again announcing its strong support of American Flat Track racing. It has stated in a press release that it is prepared to support FTR with as much enthusiasm as it did last year, matching prize money and continuing support of broadcast efforts for the events. Several of the events are specifically Indian-sponsored, and as such the company has promised to once again provide dedicated fan areas, demo rides on Indian motorcycles, giveaways and motorcycle displays including Indian’s much-anticipated FTR1200. The racers at the events who are riding Indian motorcycles will each be on a purpose-built FTR750 race bike, not the 1200. First place winners on those 750s will earn $10,000 with their title. Indian is offering a $25,000 bonus for an FTR750 who manages to win first place in the AFT Twins class, where they’ll be racing Harley Davidsons among other makes. The rivalry is building! The company is also dumping quite a lot of money into media coverage of the series, partnering with NBCSN and FansChoice.tv for live streaming. Its involvement guarantees quite a lot of marketing opportunities for Indian as they fight for market share against Harley Davidson in US motorcycle sales. Defining themselves through a race series may help avoid the pigeonholing of which HD has found itself a victim. If Indian can gain customers not only through their traditional cruiser motorcycle models but also attract a younger crowd interested in flat track racing they might succeed in a market that is proving cooler by the year. The Indian Motorcycle Factory Team, dubbed the “Wrecking Crew,”consists of professional racer Jared Mees, who this year is joined by brothers Briar and Bronson Bauman, as well as a host of privateers. The AFT season begins in Florida next month at the Daytona TT on March 14, 2019. Tickets are available online for $35 at www.americanflattrack.com or you can buy your ticket at the gate for $45. If you’re there for Daytona Bike Week it might behoove you to stop in and see the races! Mud–I mean love–is in the air! Probably also mud.